MOVING PICTURES: Book 'Em Danno! Over the last year I purchased three books on drawing and painting, which I thought I’d casually review. 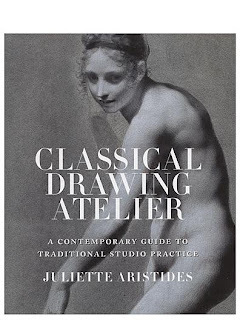 The first is the Classical Drawing Atelier by Juliette Aristides, based on an actual atelier course she runs in Seattle Washington. It’s a lovely volume, lushly illustrated with stunning, classical style drawings from the past and present. The book seeks to recreate the atelier approach to art instruction, in which an experienced master takes on a small number of apprentices and passes on his knowledge through life drawing and painting. Many of my favorite illustrators, like Howard Pyle and N. C. Wyeth were trained in this way in the latter part of the 19th and early part of the 20th century. The book is beautifully designed and covers the fundamentals of drawing in chapters entitled ‘Design’, ‘Line’, ‘Form’, ‘Value’, etc. While the chapters are by necessity compact, the information in each is essential and there is little superfluous text. 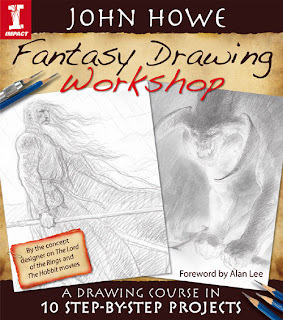 The book has inspired my first new year’s resolution, to get myself back into a life drawing class in 2011. There is a companion volume on painting, which I also intend to purchase in the coming year. The next book on the list is the most disappointing. The Fantasy Drawing Workshop is by fantasy illustrator John Howe, who famously worked on the Lord of the Rings film trilogy. The volume purports to lead the reader through ten step-by-step “projects” but really amounts to nothing more than ten drawing demonstrations by the illustrator. I love Howe's work, but I'm not too keen on this particular book. It seems to be aimed at a fairly inexperienced student, after the popular “For Dummies” series of instructional books, and includes some very beginner-level basics like choosing and sharpening a pencil. This is fine by me. After all, beginners need help too. Unfortunately, the drawings in question seem rather clunky, uninspired and unfinished. It appears as though the artist, perhaps, thought better of the whole project and was then unable to escape a contractual commitment. The few drawings in the book reproduced from the artists sketchbook are of a much higher quality than those presented in the demonstrations. Sadly, I can’t recommend the book, even for a beginner. Very disappointing. Money would be better spent on one of the many collections of the artist's more finished pieces. 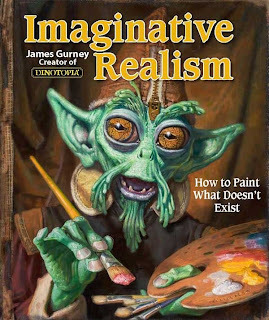 My favorite of the lot is Imaginative Realism by Dinotopia creator James Gurney. 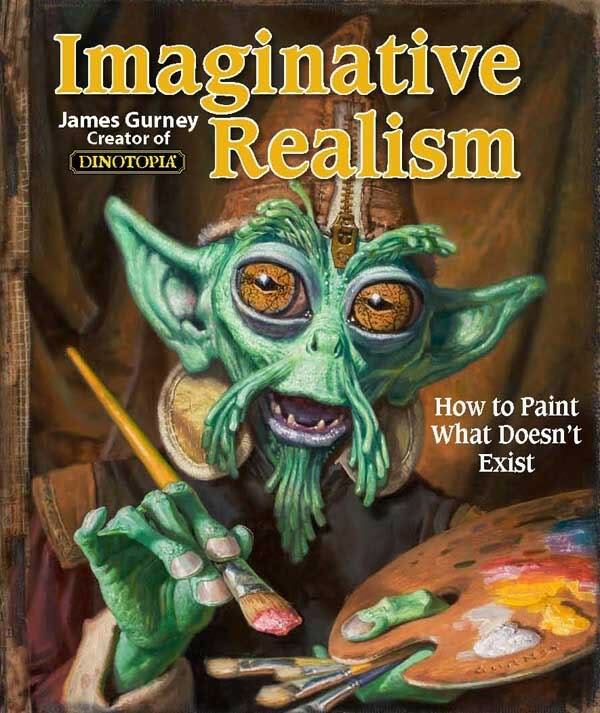 The subtitle is “How to Paint What Doesn’t Exist”, and it lives up to this promise completely. Gurney takes us on a detailed journey through his techniques, beginning with thumbnail layouts and color roughs, then on to charcoal comprehensives, posing models, creating maquettes of characters and environments and the whole creative shebang. The entire process is explicitly designed to afford believable verisimilitude in fantasy and science fiction subject matter, and upon seeing Gurney's convincing, classical style illustrations in their nascent and completed forms, one is generally convinced. The process is broken down into easily digestible bites, and is endlessly re-readable and informative.